David Austin decided to develop a group of roses that, whilst their flowers were of the old rose type, their foliage and growth had more modern rose character. For this purpose, he turned to the modern climbers related to the Wichurana ramblers, by way of New Dawn. He decided on Aloha (bred by Boerner in 1949) as the foundation parent for the Group. Leander was one of the first roses in the Leander Group. The following members of the Leander Group have already been featured in Rose of the Week: Ambridge Rose, Jubilee Celebration, Benjamin Britten, Grace, Pat Austin, Christopher Marlowe & The Prince. Leander has deep pink/apricot flowers of medium size. They are borne in large, open sprays. The blooms are rosette-shaped. The petals fan out from the centre in perfect symmetry. They are similar to, but smaller than, its parent, Charles Austin. The blooms have a strong, fruit fragrance. David Austin classifies Leander as an early summer-flowering rose. It flowers only occasionally, after the first Spring flush. 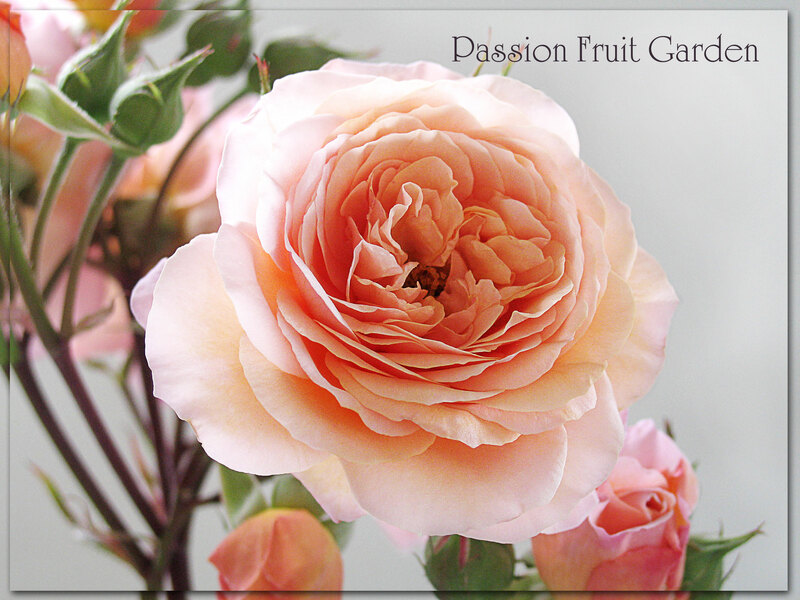 David Austin describes Leander as “a first class shrub of considerable proportions”. Leander is “the most healthy and vigorous of all English Roses, with shiny dark green disease-resistant foliage similar to that of a Modern Rose.” It thrives almost anywhere. Leander can grow very large (up to 2.5 metres), especially in warm climates. It, therefore, needs plenty of room. It can either be grown as a large shrub or climber. Leander was named after the legendary Greek lover. It was released by Austin (UK) in 1982. 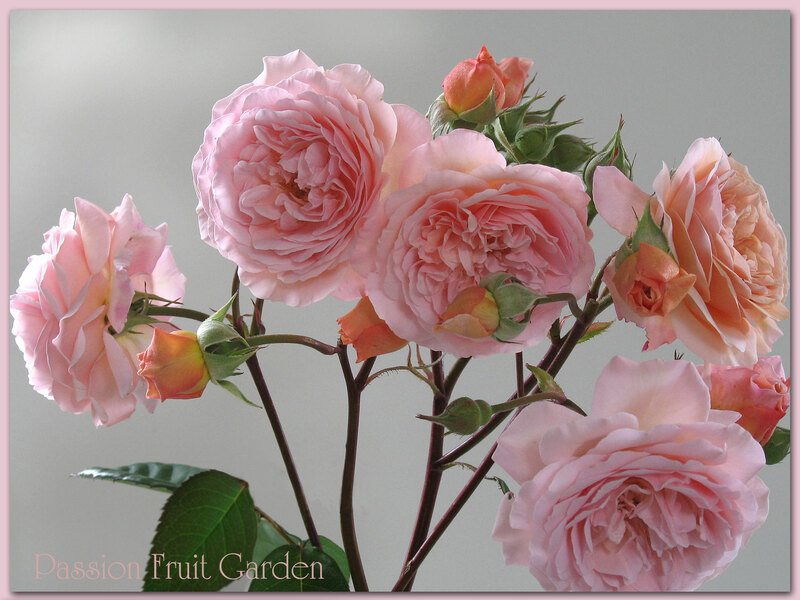 This entry was posted in David Austin, Modern Garden Roses, Rose of the week, Shrub Rose and tagged David Austin, David Austin Leander Group by Glenda. Bookmark the permalink. Leander is just stunning and that shrub is so healthy. Roses don’t grow well along the water where we live. I miss my rose garden. Hi Maureen, it is a beauty but they all are. I would miss roses too, if I couldn’t have any. Great pictures of a lovely rose. Have you tried A Shropshire Lad – another giant? It’s my favourite from the Leander group. Hi Susan, I have A Shropshire Lad but I haven’t featured him yet. Thanks for following. Leander is a real beauty, its petals within the bloom being perfectly arranged. I bet your rose garden is gorgeous. John, you are too kind. It is in desperate need of dead heading but I am in Perth so it won’t get done until after Christmas now. Another stunner. I think I would love to see this as a large shrub – it would be really quite a centerpiece in a garden.